Durrell was delighted. The atmosphere was very much to his taste: the ghost of Original Sin, it seemed, had been thoroughly exorcised by these gentle people. He became a not-infrequent visitor to the place, imbibing their teaching and coming to see himself as more a Buddhist than anything else. And he began to see his quincunx [the Avignon Quintet] as an expression of Buddhist thought. For the last years of his life Lawrence Durrell lived in Sommières in Languedoc. When he died in 1990 his ashes were scattered in the cemetery of the Romanesque church of St. Julien de Salinelles near Sommières. But a lama who was instructing him reported that Durrell was immediately reincarnated as a keeper of a vineyard in Burgundy. Which, in view of the author's colourful lifestyle, is quite appropriate. Read Durrell on Beethoven here. ** Second quotation is from Through the Dark Labyrinth, a biography of Lawrence Durrell by Gordon Bowker (ISBN 0712666788 but out of print). Just how deeply unfashionable Durrell has become is shown by the fact that his official biography from Ian S. MacNiven is also out of print. *** Gnosticism, which is a syncretic religion, is also a recurring theme in Durrell's fiction. More on gnosticism here soon. Eamonn Quinn commented on your link. "Fascinating post. 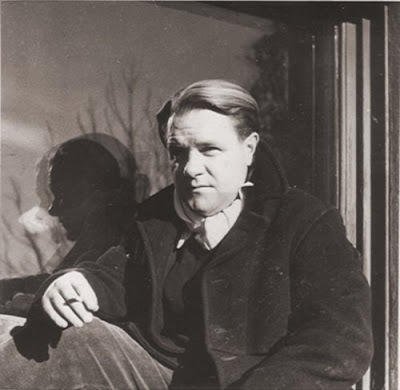 I've never read anything by Durrell so will order some of his works." Pliable - Thanks so much. I never knew, even having read and enjoyed the Alexandria Quartet something like 30 years ago. Haven't read fiction in a while - this might get me back to it.